Hello and thank you for stopping by today to help celebrate Mama Elephant 4 Years Stampede (more about this below). 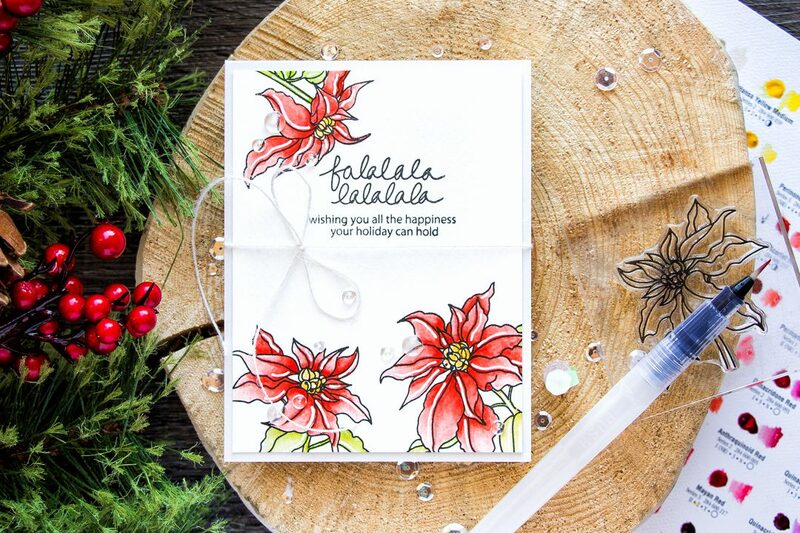 I fell in love with their new Floral Series – Poinsettia stamp set and created a simple Christmas card to share in this post today. Like this card? Pin it now! I started by stamping a sentiment first and I went with “Fa La La La” from the O’ Tiny Tree set and “Wishing You All The Happiness Your Holiday Can Hold” from the Merry Christmas Wishes set. The latter was a one line sentiment so I cut it apart to create a two line one, you can also mask a part of the sentiment if you don’t want to cut it. 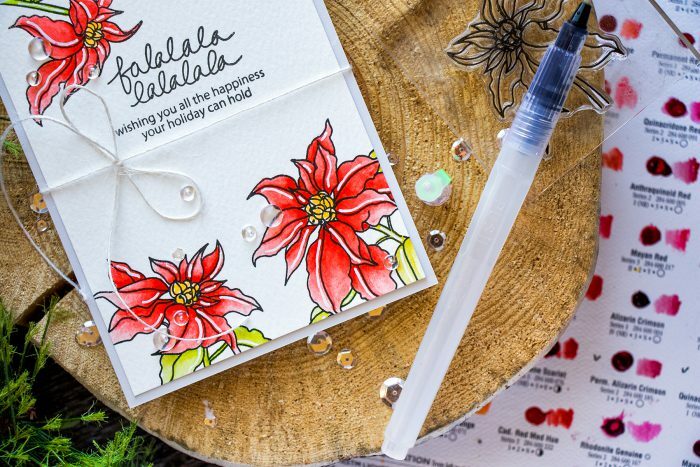 I stamped 3 poinsettia flowers onto a sheet of Arches Cold Press watercolor paper using Versafine Onyx Black ink and MISTI (this watercolor paper is textured, so I like using my MISTI to be able to double and even triple stamp images). I used Daniel Smith Watercolors and went with traditional red and green pigments to watercolor my images. I only have a sampler sheet from Daniel Smith (you can catch a glimpse at it at the very first photo), but I am loving it for simple coloring like this one. And there’s quite a lot of pigment in each one of those dots, so it does go a long way. I added white gel pen accents to my images to create highlights, wrapped a bit of natural twine and adhered several small and medium clear drops from Pretty Pink Posh. Take 10% off the entire store | In stock items only. No rain checks | No coupon code needed. All prices as marked. 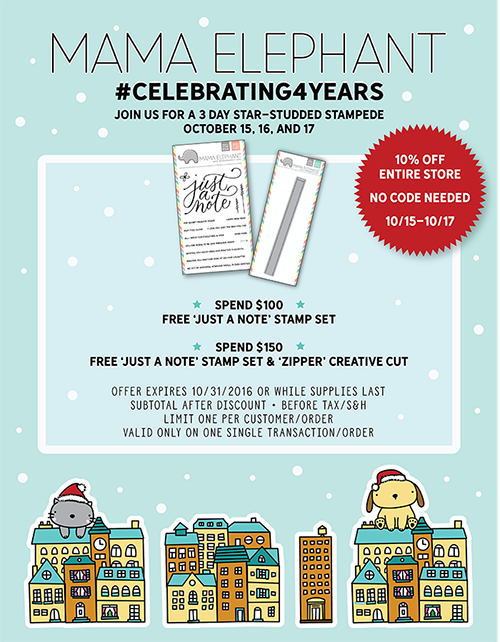 Spend min $100* – get a free ‘Just a Note’ 4×6 stamp set | Spend min $150* – get a free ‘Just a Note’ 4×6 stamp set and ‘Zipper’ creative cut die. Subtotal minimum amount must be met before any shipping fees/tax/customs | Free item(s) will be automatically added to your cart | Free item(s) valid only a single order. Orders cannot be combined | Limit one free offer per customer/order | Free offer valid 10/15-10/31 or while supplies last! We have so many amazing guest designers joining for for this Stampede. It’s a long list so we’re breaking it up into 3 days so everyone gets some love. Here are today’s designers, make sure you ‘stampede’ your way through all of them and check out what they created with the newest products! Mama Elephant. Beautiful card and your watercolouring is stunning!! I like ME in Facebook. Hi Yana, what a lovely card! I love this release! 1. Wow! Amazing card and release!!! Beautiful card today. Thanks for sharing! Very gorgeous card Yana ! 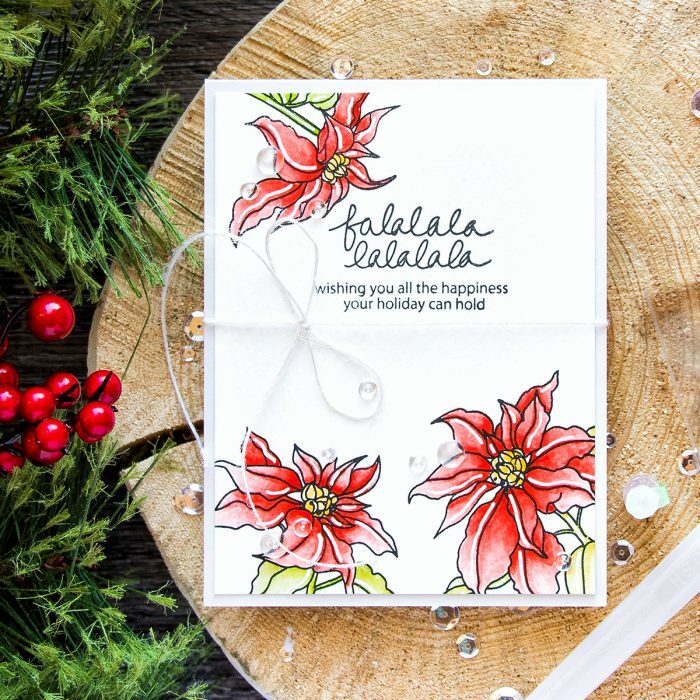 Those watercolored poinsettias are just beautiful ! Thanks for sharing. Absolutely beautiful card! Your watercoloring is gorgeous! 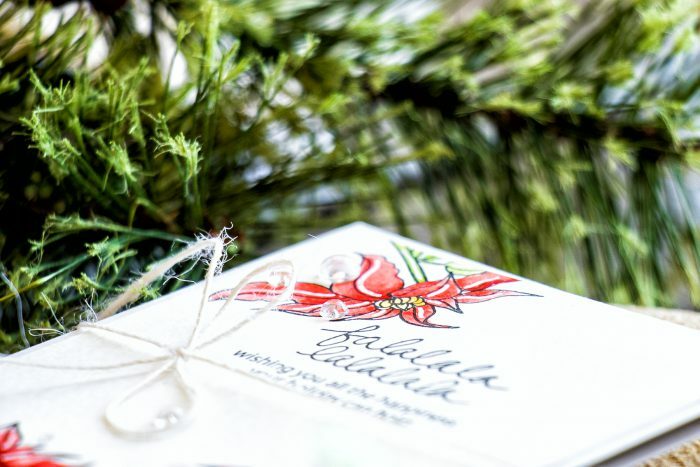 Those are simply stunning poinsettias! 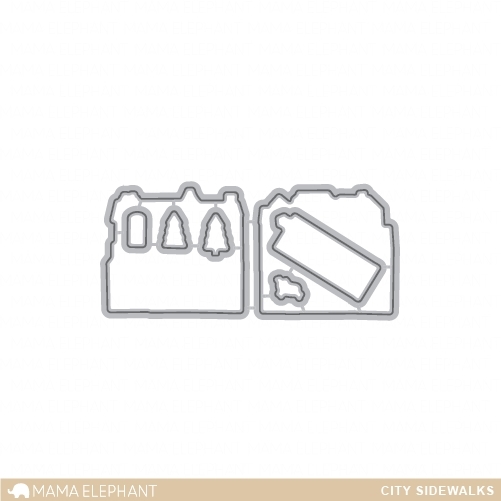 I liked Mama Elephant on Facebook! 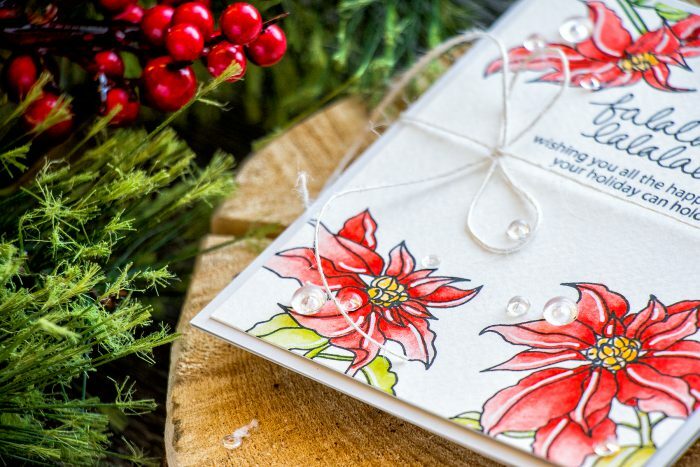 Beautiful card love these poinsettias.